Dealing with root canal issues? Endodontics is a dental specialty that focuses on the causes, diagnosis, prevention, and treatment of diseases that occur inside the dental pulp. The dental pulp is the center layer of the tooth and the part that contains the roots, which keep the tooth healthy by delivering nutrients. Left untreated, diseases in this part of the tooth can cause a range of unpleasant symptoms, from sensitivity and pain to loss of the tooth. Endodontic dental treatments can be complex, requiring extra training beyond regular dental training. Dentists who offer endodontics must complete advanced supplemental training in this field and certifications in treatments. Dr. Casey at Casey Family and Cosmetic Dentistry in Oakton, VA is a skilled dentist with expert knowledge and experience in endodontic treatments. Root canal therapy is the most common form of endodontic treatment. It also has a reputation for being extremely complex and painful. However, with improvements in modern dental techniques and anesthetics, root canal therapy is a straight forward treatment with the same level of discomfort as a routine dental filling. Root canal therapy is a procedure that is used to clear out infections within the root canal system, which sits inside the dental pulp. Each tooth has at least one root canal, with larger teeth such as molars sometimes having two or three. The purpose of the root canal system is to deliver the blood supply and necessary nutrients to the tooth to keep it healthy. When an infection sets in within the root canal, it compromises its ability to provide these things to the tooth, so it eventually begins to die. The infection can also spread into the surrounding area causing pain, abscesses and even damage to the jaw bone. Therefore, prompt treatment for root canal infections is essential and since antibiotics have proven to be ineffective, professional intervention from your dentist will be required. Root canal therapy is usually performed after the patient has been given a local anesthetic. However, if you are a particularly anxious patient, it may also be possible to give you a sedative. You should enquire about this at your consultation. Once the anesthetic has taken hold, Dr. Casey will access the root canal and use special tools to remove the infection. The canal is then sealed temporarily so that further bacteria cannot enter. 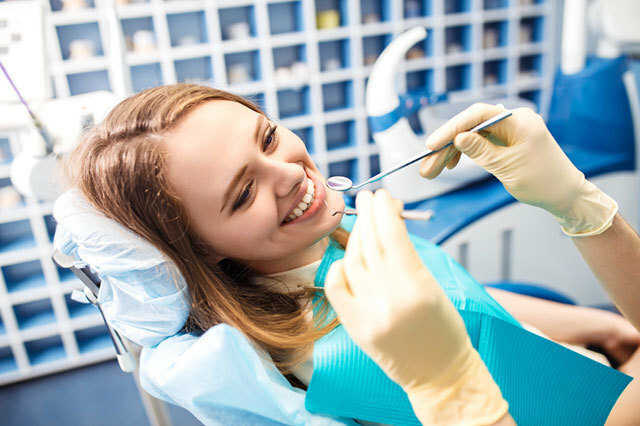 Approximately a week later, you will attend another appointment with Dr. Casey who will check that the infection is completely gone, and will then seal your tooth permanently using a crown or cavity filling. Although root canal surgery is normally successful, in some complex cases it may be difficult to remove the infection entirely. Other patients find that they suffer from repeated root canal infections. If either of these scenarios applies to you, you may be recommended for an apicoectomy. An apicoectomy is an alternative method of clearing away root canal infections, and involves approaching the root canal via the gums rather than through the teeth. During an apicoectomy, an incision is made into the gum to expose the root of the tooth, the root is cleared, and then a few millimeters are removed before the area is sealed using a filling. The wound in the gum can then be closed using sutures. Apicoectomies generally always succeed when conventional root canal treatment fail to completely eradicate the infection. If you have endodontic dental requirements, our professional and experienced team can ensure you receive the most painless and effective treatment to heal your dental health. Make an appointment with us today at 703-997-1300 to arrange a consultation.